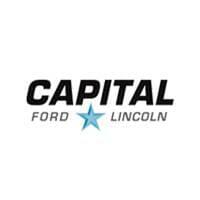 At Capital Ford Lincoln, we use only the best parts for your vehicle. We know the danger or using aftermarket, low-quality parts, so our Winnipeg Parts Department supplies your Ford vehicle with warranty-approved OEM parts. Whether you’re in need of a new car battery, brake pad replacements, or a set of tires, you can rely on our experienced Parts Specialists. We have an extensive inventory of genuine Motorcraft® and Ford parts to help get you back on the road, and our Parts Specialists will help you find the parts you need to repair your vehicle. Your Ford or Lincoln will work perfectly with original equipment parts. Plus, Ford and Motorcraft® replacement parts are covered against defects in material or workmanship for a minimum of 24 months for dealer installed parts (longer for larger replacement parts, such as engines or transmissions). Whether you need us to install new Ford parts or need something for a DIY auto project, we’ve got you covered! You can order parts online, and our team will notify you when they are ready. We are proud to provide the wider Brandon area with premium, genuine Ford parts, and we hope you trust is with all of your parts and service needs! Visit us near Portage la Prairie at your leisure.